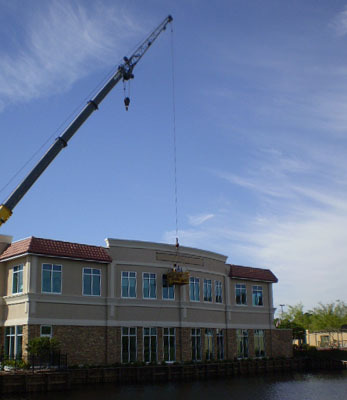 You can trust Taylor Sign & Design’s trained crews to complete the installation of your project. From interior signage to massive outdoor systems, our experienced team conducts a full-service installation process – covering everything from site surveys, shipping logistics and road closures to safety inspections, installation, and proprietary punch-list completion. Our fully licensed and insured crews have installed thousands of signs at locations across the country. Let a knowledgeable member of our team guide you through the location codes and restrictions that may be involved with your sites.